I was delighted to have been invited to attend the official press launch of the Scottish Fire and Rescue Services’ marketing campaign recently. 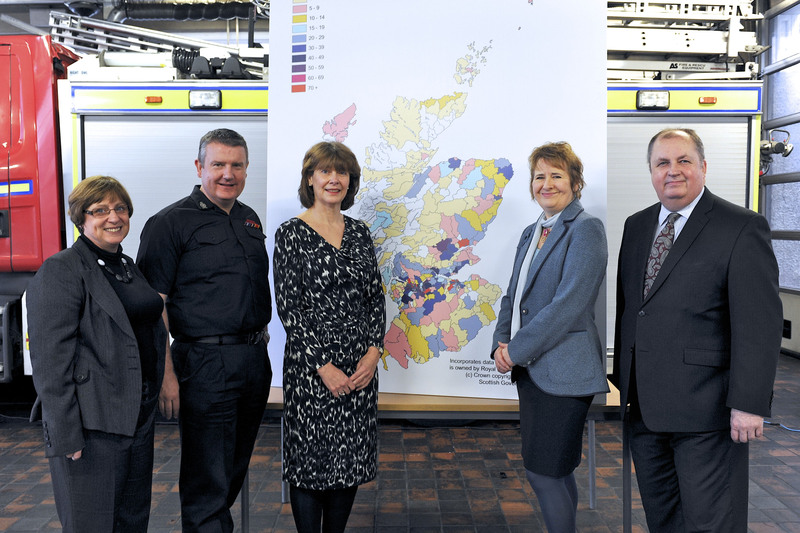 At the press launch, from left to right, Jacqui Doig (Scottish Community Safety Network), Alex Clark, the new deputy chief of the new (single) Scottish Fire and Rescue Service, Elizabeth Lumsden (RoSPA Scotland), Roseanna Cunningham (Minister for Community Safety and Legal Affairs) and Colin Keir, MSP (Member for Edinburgh Western). The “Don’t Give Fire a Home” campaign supports the Chief Fire Officers Association of Scotland’s 2012-13 marketing and publicity strategy. The backdrop to the event was a map illustrating the number of fires within domestic dwellings in Scotland. The launch also promoted the roadshow events currently being held around the country, which generate referrals to the Fire and Rescue Service’s free home fire safety visits. Further information on the fire data by local authority area is available at www.scotland.gov.uk/Topics/Statistics/Browse/Crime-Justice/Datasets/DatasetsFire. The launch was covered by STV and there was also interest from various radio stations as well as the printed press. The Minister for Community Safety and Legal Affairs, Roseanna Cunningham, attended the event and urged householders not to be complacent as the festive period approaches – a time that traditionally presents a variety of new fire hazards in the home. Ms Cunningham also mentioned the need to have a working smoke detector and urged people to take up the offer of a free home fire safety visit – available from all of the local fire and rescue services. There were 6,149 dwelling fires in Scotland in 2011-12 and sadly dozens of people die each year. But what types of fires are happening? Well, most of the deaths were due to careless use of smoker’s materials and many of the non-fatal casualties happened because of chip pan fires. When we, at RoSPA, speak to people about chip pan fires, the majority will say, “I don’t know anyone who still has a chip pan”. 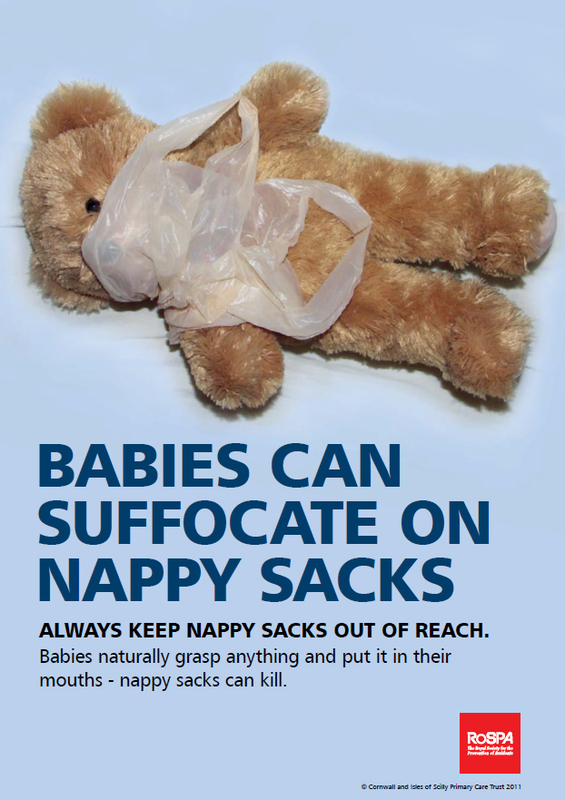 But people do still have them – and leave them unattended for different reasons. One reason is that they have consumed alcohol and fallen asleep in another room while they wait for the pan to heat up. Much safer to collect a bag of chips from the local chippy on the way home! 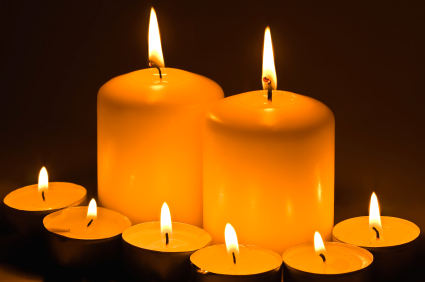 RoSPA recommends that lighted candles are never left unattended and that they are never positioned in a draught, anywhere near curtains or near any materials, which could ignite. At RoSPA, we will do what we can to support the Fire and Rescue Services’ campaign again this year. Our advice includes the safe use of candles (a popular Christmas gift) and the dangers of overloading sockets. However, we also draw attention to the fact that being injured in a fire, although causing one of the most serious types of injury – a painful, often life threatening burn – is just one of the many types of accidents that can happen in the home. Falls remain the biggest cause of home accidents – involving all age groups – but we also see incidences of poisoning, choking and drowning. You can see all of our Christmas safety tips at www.rospa.com/homesafety/adviceandinformation/christmassafety/safety-tips.aspx.